Paula teaches out of her home studio located close to Wildcat and University. Paula offers many recital and solo/ensemble opportunities. 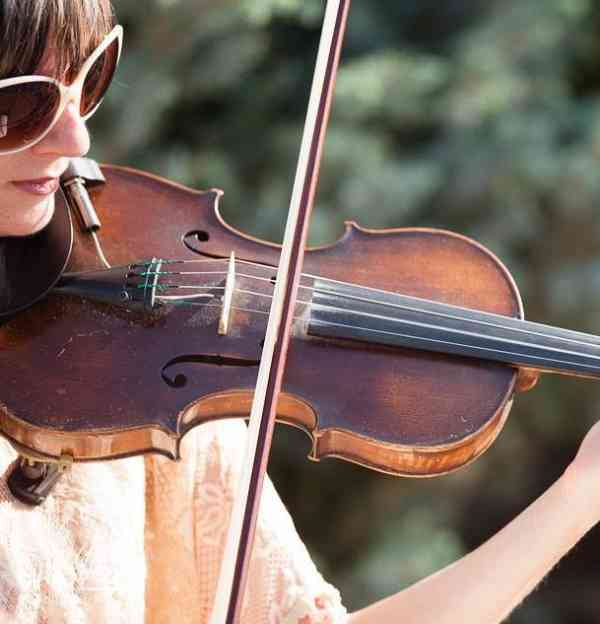 Paula started playing the violin when she was 3 with the Elmhurst College Suzuki Program. Her first teaching opportunity was 1995 in Chicago at the Irish Music Foundation. Paula has a BA in Music Education and K-12 Licensure from Metro State College. Suzuki Certification Courses were completed at Music of the North Shore in Chicago and The University of Denver completing book 1-4. Paula’s education includes UNC, DePaul, DU and Metro State College. Paula has 20 years teaching experience in Cherry Creek Public Schools, Evergreen Public Schools, Douglas County Public Schools, Denver Christian and Golden Music. As a professional violinist Paula performed with Evergreen Chamber Orchestra, Arapahoe Philharmonic Orchestra, Denver Philharmonic Orchestra, PBS/John Tesh Alive album and DVD, St Mary’s Baroque Orchestra and The Country Music Project with several cd’s and dvd’s available on ITunes. Toured with the Irish rock band Potcheen for 4 years. In addition to her Suzuki home studio she currently teaches Orchestra for Bear Canyon, Stone Mountain, Coyote Creek and Copper Mesa Elementary in Douglas County. Paula has 3 children, loves yoga, SUP, hiking, biking, skiing and anything outside in Colorado.